Last Sunday we went to the feed store for chicken supplies (this was before the dog attack) and we came home with chicken bedding, food, corn, and rabbit pellets, a bale of alfalfa, and three rascally rabbits! A buck, Bill, and two does, Nicki and Margene (and for anyone who gets the names we call the wild rabbit in our yard Barb). We’re hoping to get a hutch built for them soon but for now they are spending time with us in the house. Did you know that rabbits can squeeze through the wires on a dog crate?Â We didn’t but we quickly found out, now it is wrapped in chicken wire. Sadly this is the best photo I have of them. We’ll have to do a photo shoot when Ryan is home. 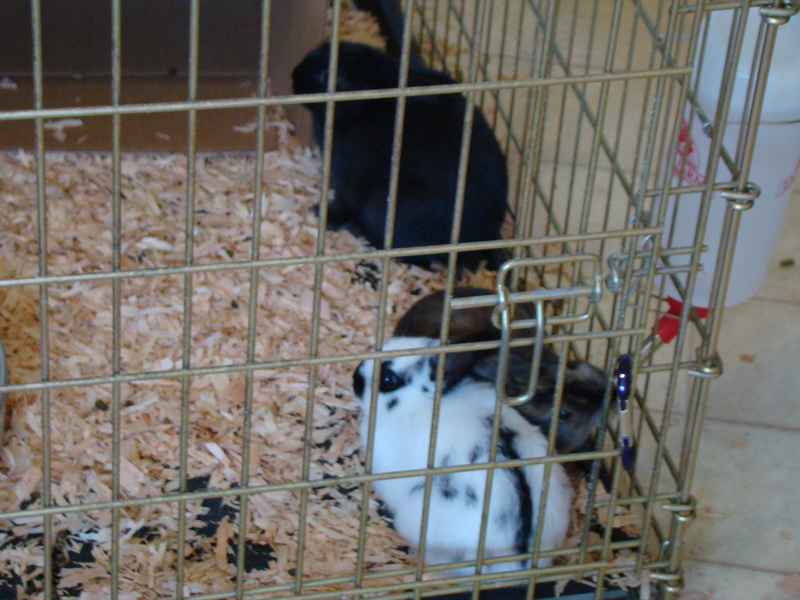 Bill is white with black spots and a stripe, Nicki is sort of calico/brindle, and Margene is black. 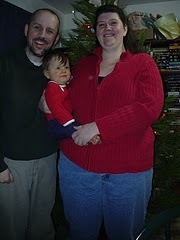 They all seem pretty friendly and they have been amazingly tolerant of Xander’s enthusiasm. He shows them toys, draws them pictures, and of course hollers at them. Since we’ve been asked numerous times, these 3 rabbits are pets but we will be breeding them and their offspring will be “meat”.